The use of computer technology to manage money continues to explode across the financial services industry. Enter the robo-planner. The question is can an online computer platform help answer common financial questions like should you invest in an RRSP or TFSA, or should you pay off your mortgage sooner? Today we talk about the use and potential benefit of robo-planners with Rona Birenbaum of Viviplan, a new Canadian robo-planning company. A robo-planner provides access to unbiased financial planning advice through an online platform, replacing much of the face-to-face engagement involved in working with an individual to create a personal financial plan. A robo-planner differs from a robo-advisor, which uses online technology to help you choose and manage your investments. While the terms robo-advisor and robo-planner are often used interchangeably, according to Rona, they don’t provide the same service. A robo-advisor’s primary aim is to gather assets. It focuses on your investments, not on delivering customized advice like whether you should buy instead of rent or how to prepare for retirement, for example. Like robo-advisors, robo-planning leverages technology to reduce the cost of delivery. Getting personal financial advice from a fee-for-service financial planner can be expensive. According to Rona, person-to-person bespoke advice can cost upwards of $4,500 or more. This cost can be lowered to around $800 by using technology to collect much of the information that would require hours of conversation with a face-to-face financial planner. The benefit of using technology to collect data can be passed on in cost savings opening up access to comprehensive, personalize planning to the broader Canadian marketplace. While there is a significant difference in cost, a certified financial planner can deal with a level of complexity that a robo-planner may be unable to, so robo-planning isn’t for everyone. Meeting with a personal certified financial planner may be more suitable than using a robo-planner if your financial affairs include income from multiple rental properties, or you are an incorporated business owner, or you have several bank accounts overseas, for example. A personal planner can also provide counselling, something a robo-planner cannot perform. If there is a dynamic to be managed between spouses you would be better off investing in a one-on-one consultation with a certified financial planner. Can a robo-planner help me manage debt problems? Robo-planners are programmed to understand that the less debt you owe, the more control you have over your life. Wealth building can’t start without the elimination of debt. If you have some debt, but you can reasonably afford to pay it down, a robo-plan can incorporate that process into your financial plan. However, if you are overwhelmed with debt and need a more formal restructuring solution, a robo-planner cannot provide that service. Your first step should be to get rid of your debt so that you can redirect your funds to a long-term savings plan. In this case talking to a debt professional like a Licensed Insolvency Trustee is a better starting point. Once your debt is eliminated, you can once again turn to the robo-planner to help begin the process of rebuilding your savings and setting new financial goals. For more information on how robo-planners work, tune in to the podcast with guest Rona Birenbaum, or read the complete transcription below. Doug Hoyes: Financial planning is a big topic these days. My clients have a lot of debt so they file a consumer proposal or a bankruptcy to eliminate it. Once they no longer have to worry about high debt repayments every month they start thinking about what’s next? They had their fresh start but truly starting over means planning for the future. They had the same questions anyone starting over would have, when can they afford to buy a home, how can I save for my child’s education or for my retirement? How can I avoid the debt trap again and have a stronger financial future? Who do you talk to when you have financial questions, a financial planner. I’ve talked with two fee only planners on past episodes. Last season I had Jason Heath on the podcast and he explained how to find a credible financial planner and two weeks ago on episode number 213 my guest was Sandi Martin who gave her thoughts on the difference between advisors that sell products and those who sell advice. On both of those shows I asked about fees, because obviously to hire a certified financial planner, a CFP, which both Jason and Sandi are, it costs money. I have no problem with that, I don’t know any professional that works for free but obviously cost is an issue, which brings us to today’s topic. Can technology deliver good financial advice? More specifically should you use a robo-planner? That’s right, can a computer give you good financial advice at less cost? And is that a good idea? That’s today’s topic so let’s started and meet my guest, who are you and what do you do? 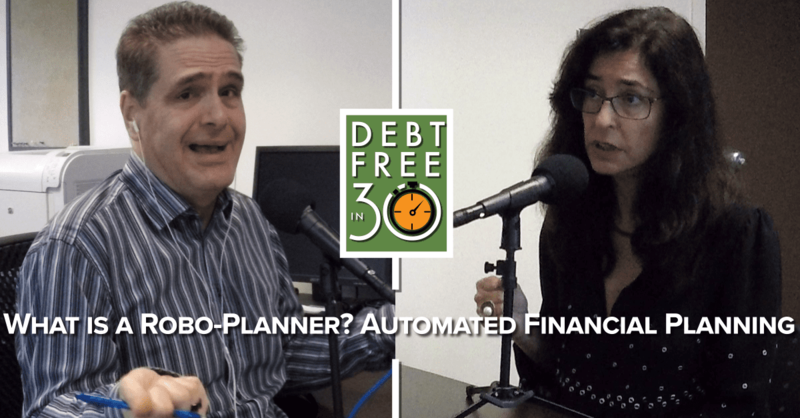 Rona Birenbaum: Hi Doug, I’m Rona Birenbaum and I’m the founder of Caring for Clients, which is a fee only financial planning firm and the co-founder of Viviplan, which is the robo-planner you described. 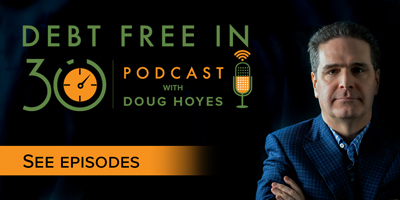 Doug Hoyes: And you’re a CFP is that correct? Doug Hoyes: So you do both sides of it then. Rona Birenbaum: Yes I do and I’ve been, you know, I’m one of the earliest fee only planners in Canada. And when I say I do both what I do with Viviplan is I’m building a company, I’m not necessarily doing the hands on planning, we can talk about that, so more hands on planning in my first company, more leadership and growing a business in the second. Doug Hoyes: Okay, good. So before we start let me give my standard disclaimer I’ve written it down here. You know, it’s my show, I pick the guests, I don’t pay anyone to be on the show and no one can pay me to be on the show, I’m not endorsing anything we discuss today. I do the show because my clients ask me questions about robo advisors and financial planning and I want to be able to speak intelligently so that’s the goal today. And it turns out your office is a short way from my office here at Yonge and King in downtown Toronto where we’re recording today. So let’s get at it what is a robo planner, how do you define that? Rona Birenbaum: The definition is a moving target but right now I define it as a way of accessing unbiased financial planning advice through an online platform versus a face to face type of engagement. Doug Hoyes: And how is that different from a robo advisor? Rona Birenbaum: The robo advisor term right now means an investment platform. So that is primarily how people can use technology to simplify and access investment portfolios very cost effectively. The robo planning, and it’s really important for consumers to start to understand the difference between financial planning and financial advice or investment advice, Canadians have typically conflated the two. You know, when they think about financial planning they’ve really just assumed it’s about how should I invest my money, how much and what kind of portfolio? And it is so much more than that and really is a completely different service offering. Doug Hoyes: So, a robo advisor would be it’ll figure out, it’ll automatically allocate my money between bonds and stocks and mutual funds and this and that, it’s purely an investment thing. Whereas robo planning, I mean it almost has nothing to do with investment I guess. Rona Birenbaum: That’s right, almost. Rona Birenbaum: With the exception that one’s investment portfolio forms one very important foundational element of long term financial security. So we can’t ignore investment strategy and the investment component, but I see it as it is a tool that every Canadian has to create a certain financial outcome. And it’s the job of the financial plan to identify how that money should be structured, how the investment should be structured in terms of what type of accounts, you know, RSP versus TFSA and nonregistered. And then to what degree it should get funding attention or to what degree it should be drawn on in retirement. But financial planning stays away from the weeds of investing, which is, you know, what investment you should buy whether it’s an ETF or a mutual fund. It does get into asset allocation though, I will say that. Doug Hoyes: Yeah, based on age and other factors and whatnot. So yeah, so I mean a financial plan will tell me I should pay down my mortgage as opposed to investing whereas a robo advisor well, give us the money to invest and it will invest it, it’s never going to say pay down debt for example. Rona Birenbaum: And it’s not going to say that for a couple of reasons. You know, it’s not going to say that because it’s really not the job of the robo advisor to do that, it is an investment platform. And secondarily it’s not going to do that because that undermines its ultimate business objective, which is to gather assets. Doug Hoyes: Well and that’s certainly a topic that was raised when I talked to Sandi and Jason beforehand. When you go to the bank they have a portfolio of things to sell you and that’s what they’re going to sell you. And they’re not going to say is hey, maybe what you should be doing is paying down the mortgage because obviously that east into their profits, not the other way around. Rona Birenbaum: And the best example I use for that is when TFSAs were first created in Canada in 2009 and pretty much any consumer who went to the bank was encouraged to open up a TFSA and put some money into a low interest bearing savings vehicle within that TFSA while at the same time that same consumer had a credit card balance or a line of credit or a mortgage. So I can’t tell you how many times I saw that kind of what I would call bad advice, it really wasn’t any advice it was really just listening to the salesperson. Doug Hoyes: I think you’re right, I think it’s bad advice. And I see that here in this very office. People will come to see me and they owe $50,000 on their credit cards but they’ve got $2,000 in their TFSA. I’m going well, why? Well, because that’s what they told me to do, they thought it was a good idea, you know, you’ve got to save. Okay, but you’re earning 0% on your TFSA and you’re paying 20% on your credit cards, this is kind of, you know, hello. But anyways we’re not going to do a five hour show today so let me go onto the next question which is so you’ve got this company now that is a robo planner. What problem are you trying to solve with that company? Rona Birenbaum: The problem that we’re solving is accessibility and affordability and objectivity of financial advice and having that being available broadly across Canada to the mass market. That is the problem we’re solving. So it’s again unbiased, accessible, convenient and affordable. Doug Hoyes: So OK, so let’s say I – maybe you can contrast the two options for me then. I can come in and see you and get a traditional financial plan like you’ve been doing for, you know, a couple of decades and that’s going to cost me X. Or I can go on the computer and punch in a bunch of stuff and that’s going to cost me a lot less. What do I get in either case? Rona Birenbaum: You get the same quality of advice, the difference is in the client experience. So with the – what I would call the bespoke full service engagement through myself or anybody on my team at Caring For Clients, the process is much longer, involves numerous meetings in person and, you know, is much more of an advisor driven experience. It’s much more kind of a lot more hand holding involved in that process. The amount of information we gather is the same, so it’s just as comprehensive and robust. The degree of customization is the same. So Viviplan is developing customized plans, not cookie cutter results. And primarily the cost is a difference, so our financial plans at Caring for Clients start at $4,500 and Viviplan is $800. And I think what really surprises consumers, and has surprised our earliest Viviplan clients, is how robust the advice is at that price point, at that $800 price point. Doug Hoyes: So you explained how it works if I come the traditional way, I sit down with you many times, you ask a whole bunch of questions, take a whole bunch of notes, I go back, get you more of information, here’s my statement for this, that for whatever. How does it work then if I’m using the robo system? Rona Birenbaum: With the robo system it starts with some email communication where we gather some general information about the client just so we know where – who we’re dealing with. And then there is an online, onboarding platform where the – each client will give us the information that we need. And that’s a big part of the technology build out because what we’re trying to do is replicate a dialogue, a back and forth between an advisor and a client with it being self serve for the client. So for example when collecting information one question is generally not enough, for example are your children in daycare? Yes. How much does daycare cost? It costs X. Okay, what’s it going to cost when that child becomes 4 and goes into junior kindergarten and just needs before and after school care? Oh and by the way when that child is maybe 14 and old enough to stay home are you going to want babysitting or are they going to be self sufficient and therefore what’s going to happen to the cost structure then? So our questioning, I guess platform, walks the client through all of those questions so they’re able to give us that kind of granular information in all aspects of their lives. So they go through a number of modules which starts with a goal setting module because any useful financial plan is a goal driven plan, what do you want to get out of life? We need to know what that is and then it walks through cash flow, what you spend on certain things now and how that will change in the future, net worth, your assets, your liabilities, all the details around that. It focuses then on insurance, all of the various insurance components, things like wills and powers of attorney, we actually require that clients upload those documents so that we can review them. Sometimes the same with other things like pension statements etc. So the gathering of the information is all online and then we have an online chat function so if somebody runs into difficulty while completing it, they can message us and we’ll respond immediately or it might be the planner responds in a back and forth email. Doug Hoyes: So how long would it take for that process to happen? Am I sitting in front of the computer for seven straight weeks typing in all this stuff or what? Rona Birenbaum: It varies, it depends on how organized a client is and how tuned in they are to their finances. So before they start the on boarding process, we provide a getting ready list. Here is what you need to gather before you sit down with your coffee or your glass of wine or whatever it is that makes you happy. And we help the client prepare for that. And so, you know our clients are saying it can take anywhere from an hour to 90 minutes and or more if a client needs to step away and find information. So for example we’ll ask a client for information around one’s group RSP plan and there’s usually matching, company matching, and so a little bubble that will pop up that say this is the question you should ask your HR people to get that information. So for example we got a message from a client yesterday saying can I step away and come back? Yes, as many times, it’s automatically saved. Doug Hoyes: Because obviously you’re logging in so it’s your information. Rona Birenbaum: Exactly. And Viviplan can tell where you are at the process so if it’s been awhile since you’ve logged in and you’re losing your mojo we’ll reach out and say hey, how’s it going? Come on back, how can we help you? And then we’re also notified when the on boarding is complete so we can move the client into the next phase. And the next phase is us essentially there is a plan building process and then the client gets what we call the assumptions document which is these are all of the assumptions underlying the development of your plan, please let us know if this works for you, if this is accurate. And we want clients to sign off on that because that’s the premise on which the plan’s going to be built. Doug Hoyes: So there’s all these lists of assumptions this, this and this and that, you’ve got this many kids, this is what your income is, your assets and so on and then from there they get a plan. Rona Birenbaum: That’s right and ultimately the technology will be more aligned with what you would expect robo to mean where there will be a pipeline of the data into the plan being automatically generated. Right now we are actually having planners build those plans on a custom basis because this is an opportunity that we’re taking to really understand what kind of reporting the client wants, what kind of engagement they want before we completely build out the financial engine technology. We want to make sure it’s created around something that’s most meaningful to the client. Most software out there now is developed for the advisor, for the planner, not with the end client in mind. So we’re going to do it right, we’re going to do it with our hat on sitting as the consumer. So what they get within generally speaking depending on volume, a week or two, is the full financial plan, which is a written document including all the charts and graphs that confuse people but more importantly the content, the text, which is to say these are how you’re going to meet your goals and these are the action items you need to take in all aspects of your life and this is why. It’s really important, the why is so important because otherwise it just sounds prescriptive to be motivated to take action, whether it is to accelerate your debt repayment at the expense of savings or accelerate education funding at the expense of I don’t know the gym membership that you never use, whatever the case may be. There’s got to be some kind of motivating, you know, psychologically driven rationale. So we’re very keen on giving that context. Doug Hoyes: I’m thinking about this. So I can go the what you said, you know, the four or five thousand route of having an in person one, I can go the $800 route of having the robo route. I would think the advantage of going the personal route is there is some accountability there. So, like you say OK I go on the computer, it takes 90 minutes and I punch in all the information, two weeks later I get this document and the document, you know, sits right beside my gym membership card, neither one of which I’m using. I would assume then there are some people that this is more suited to than others. OK some people you know what I need that personal face there to kind of crack the whip and push me in the right direction whereas other people perhaps what I really need is the knowledge and I can implement it myself, would that be a way to determine whether you go for A or B or is that not the way you look at it? Rona Birenbaum: It isn’t the way we look at it. I would say the majority of people do need an accountability partner of some sort. Even those that are very self managing value a second opinion and sometimes it’s because it gives them that extra level of confidence to move forward with their plans, sometimes it’s to get a spouse or partner onboard and so that objective support and service is helpful regardless. What’s really key at what we’re going at Viviplan is ensuring that there is an accountability in coaching component of what we do. So once the plan is developed an actual planner has a virtual meeting with the client to walk through the plan, to answer questions, to get buy in and engagement. And then what’s coming very soon is a monthly service, for those who want it, that will provide ongoing insights into how your money is being spent relative to the plan and how your assets and liabilities are moving relative to the plan objectives. And then an ongoing access to the planner for ad hoc information and advice and an ongoing dialogue, ongoing encouragement, accountability, check ins etc. So for example if by September of or December of 2019 you should have fully funded your RESP there’s going to be an email that goes out that says. Doug Hoyes: Yeah, have you done it? Rona Birenbaum: Have you done it yet so there are ways to actually use technology to not replace what a person can do but to actually communicate and do outreach the way a human being would if they were paying attention. Doug Hoyes: Yeah, I can see some obvious advantages to this, one of them being all the data collection, that a computer can do that probably just as well if not better than a human being. So I’m trying to think this through from a business point of view them. So instead of charging $4,500 you’re charging $800 and obviously you don’t have to spend as much time on it. But I don’t see how you can make any money charging $800, especially if you’re going to have a virtual meeting with the person and a real person is actually looking at it and everything. So, what’s the further monetization strategy here? Are you going to have other partners involved, are you going to have other services that you sell related to it? What does the future hold here? Rona Birenbaum: Yeah, so the next step of our financial model is that monthly service. So for those that really want an ongoing partner in the management of their financial lives and an advocate for personal finances they’ll want to become what will likely be a Viviplan gold member that will have a monthly fee. I don’t know, we’re doing some market research now on what that fee should be. And then that is your kind of monthly recurring revenue model. And our objective is really just to provide sufficient value that we’ll keep people engaged on a monthly basis. And that can be a very, very powerful model when you realize that Canada is our market, the majority of Canadians is our potential market and then beyond Canada there are other countries that would apply as well. Rona Birenbaum: And just, sorry just to further answer your question in terms of other services, I’ll be very, very clear this is not going to be an advertisement driven model. There will be no ads on the page. It’s not a lead generation type of model, it’s eyeballs on our website are not important to us and – but one of the again important components is plan implementation. So for us success is not in the delivering of a plan, it’s knowing the client has actually implemented it and that will sometimes require third party professionals like lawyers for a will or accountants or mortgage brokers or whatever the case may be. So it is in our best interest to help clients find those great resources and that’s something that we’re going to be looking to build out. Again, maintaining really the unbiased nature of the work that we do. Doug Hoyes: Yeah and that’s the conundrum, right? Rona Birenbaum: It’s not a conundrum. Doug Hoyes: Well but I mean if you need a will then I agree, you’ve got to have a lawyer do it, you know, having me the accountant do it would be a stupid idea. So if I’ve come to you for help I’d like you to say yeah you need to go to a lawyer and my next question would be well, which lawyer should I go to? Well, there’s, you know, five guys down the street who’ve we’ve checked out, we know they’re good. But then you always worry well is that introducing bias, like how much of a kickback are the lawyers giving you to prepare the will? How do you get over that hump? Rona Birenbaum: Well you just don’t take a kickback. Doug Hoyes: Okay, so it’s as simple as that. Here’s lawyers we’ve checked out but here’s what we’re charging our client and that’s the only money we get so we’re completely unbiased from that point of view. Rona Birenbaum: That’s essential. I think that it’s really the only way that consumers can feel confident that the advice and support that they’re getting is truly in their best interest. And I think that it’s a more challenging business model, no question about it. And I think that’s why nobody has taken it on. But I know how to deliver value, okay? 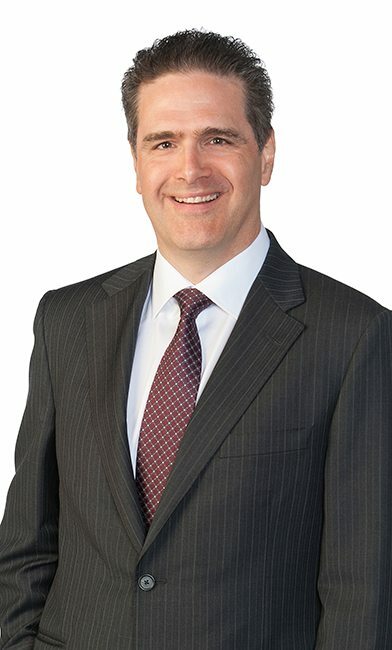 And so, I have complete confidence that we can have a business model that will be profitable and viable so that the majority of Canadians don’t call it financial planning anymore, they say I don’t want a financial planner, I want a Viviplan because that’s really going to be the gold standard. Just like you don’t want a tissue, you want a Kleenex. So the service and product is being designed to have that kind of impact and if you can have that kind of impact in people’s lives then there’s a business model to support it. Doug Hoyes: Yeah. Yeah and you’re right. It’s a volume thing too with one person it’s not going to work but with all of Canada it’s a no-brainer. So tell me about the potential clients for this then and let’s maybe do it age range wise. So if I’m early in my career so if I’m graduated from school and I’m, you know, a year or two into it, would I be a candidate for something like this? Rona Birenbaum: You would be. Your goals and your focus of your plan would differ from a retiree. There are a number of components to a financial plan and some get more attention than others depending on where you are in your life cycle. So, cash flow is the cornerstone of every financial plan. For someone that’s just coming out of school and trying to position themselves for the future, that becomes a really core component of it. Particularly from our standpoint because cash flow management skills, if you learn them and get them right early on it serves you so powerfully over the long-term. So, things like the cash flow pieces become really key and helping clients understand risk management and insurance. So for example when a young person gets their first job and they get benefits, they need to understand what those benefits are. They often kind of give them short shrift but we want to understand, or want them to understand, what those benefits do and don’t do. So I would say cash flow and debt management and, you know, just starting to figure out how to save and what those savings can do for them over time would be the focus for them. Doug Hoyes: And for somebody who is at the end of their career, the focus shifts to what? Rona Birenbaum: The focus shifts to retirement sustainability, the timing of retirement, when can I retire, what are my retirement options? What does part-time, working part-time look like versus a full scale elimination of income? And most pre-retirees are really concerned about what’s called a decumulation strategy or draw down strategy. How do I replace that paycheque that was coming into my bank account every month? Where is that money going to come from and how do I do that tax effectively and at a pace that ensures I don’t run out of money before I run out of time? Doug Hoyes: Yeah and we’re all living longer so that’s a bigger and bigger issue I would think then. So, now you mentioned the word debt and debt pay down. Obviously this is a show about debt, so what about people that have debt, can they benefit from this type of plan? Rona Birenbaum: They can largely because we are debt averse philosophically. Financial planners know that the less debt you have the more control you have over your life. The stronger you will be over time because debt is simply an obligation that ties your hands in the future. So financial freedom and stability and wealth building requires the management and elimination of debt over time. So, the only, I think the only individuals that wouldn’t be ready for Viviplan, and you eluded to this in your opening, would be those that are really drowning in debt. And occasionally we will hear from those people that are just looking for help, what do I do? And the first step generally is to get advice from a firm like yours where you know, you can help them figure out how to essentially get out from under the debt so they can then start to plan their future. There’s no point in getting a financial plan when probably the number one piece of advice coming from us would be, you know, get some credit counselling or consider a consumer proposal. They don’t need to pay us $800 to hear that. But once the debt is cleared or there’s a clear debt repayment strategy then it’s time to come to us so we can help them paint a future and not repeat the patterns of the past. Doug Hoyes: Yeah, you’re the step after me. Doug Hoyes: And so if I go online and start filling out of the form and I put in that I have $100,000 worth of credit card debt and my income is $3,000 a month, at what point does the plan say okay wait a minute there’s something way more important. Does it kick them out, have they paid the $800 already, how does that all work? Rona Birenbaum: So the first thing we do is an intake survey before anybody pays anything. So when somebody joins our wait list or when we’re through our wait list, when it’s just buy now they will get, automatically they get a survey that tells us what’s happening with you, why you’re coming to us and that feedback if it says look I’m overwhelmed with debt, I’m looking to figure out how to get out from under it, then we make a phone call and we have an initial chat with the prospective client. And it’s after both the survey and the initial chat that we would identify that they are or not a fit. And, you know, I’m glad we’re having this conversation because on our website now which we’re redesigning at the moment, we do outline who is a good fit for Viviplan and who is not. Right now who is not are Canadians who have very complex financial affairs, operating companies and family trusts and multi-generational, you know, estate planning etc. Those needs are best served by a firm like Caring for Clients. Perhaps what we should do is an add an item that says are you overwhelmed with debt and looking for a resolution there? And if that’s the case I think what we should do is give them some information about what a first step would be best because then that’ll save the time of them coming through us. So, I’m glad that you brought that up. Doug Hoyes: Yeah and we do the same thing here. People will come in and say oh, I got all this debt well it may be that you’ve got all this debt but you – I’ve got $500,000 worth of debt. Yeah, but you’ve got a house that’s worth two million dollars so the debt isn’t really the problem it’s a cash flow problem, sell the house, remortgage whatever so you don’t really need me, you need a mortgage broker. You’ve got some tax issues, have him file taxes you need a tax person. So I think the role of any professional is to figure out what’s the real problem and get them in front of that person who can solve that real problem and then okay great now you can go onto stage two and do the financial plan, the investing whatever. OK so, I think you kind of eluded to this, but my final question then is when should I be going to the full service financial planner, and let me be more specific, the fee only financial planner? And when should I be going to the robo planner? An obvious answer would be well, I’ve only got $800. Okay, then I guess you’ve only got one choice, go the robo route. Is the robo route primarily for someone who is, you know, trying to save cost, they’ve only got so much money? Or would there be other people who you would say you know what, go to the robo route instead of going the full service route? Rona Birenbaum: Yes, first of all yes, if you’ve only got $800 then we’re the best game in town. But we’re also the best game in town if you have more than $800 and that’s – when people contact us at Caring for Clients we do our initial triage. And if we think that they have fairly straightforward planning needs, like not that complexity that I just described previously, and they can get the advice and direction for a much lower price point, then we will recommend that right from the get go. Because then our best piece of financial advice, as I say my first piece of financial advice is to not pay $4,500 or something you can get for eight. Unless – so for example what would be a situation where I wouldn’t make that recommendation? Alright somebody calls us and says, you know, we’ve got this planning, we want to retire, my spouse wants to retire now I’m concerned that it’s too soon and there is a dynamic there that needs to be managed between two stakeholders. An online platform is not designed to do that kind of counselling. Lots of people, and you’ve probably heard this before Doug. Doug Hoyes: Oh yeah, many times. Rona Birenbaum: That people say boy, you’re not a financial planner, you’re a marriage counsellor or you’re a therapist. So, you know, Caring for Clients is the therapeutic style of financial planning if need be and Viviplan does not have that component. So it’s a bonus that it’s lower cost but it’s not limited to those who can simply not afford to pay more. Doug Hoyes: Got you. So you’ve got to put the person in the right spot. Okay, so how can people track you down then? Rona Birenbaum: They can go to our website, viviplan.com to learn more about what we’re doing and who the team is and then on the Caring for Clients side it’s caringforclients.com. On social media I like – I’m particularly fond of Twitter and you can hear our views there and that is @viviplan. And just so you know what Viviplan means vivi is the derivation of the word life. So it is life plan and that’s really the philosophy of what we do so @viviplan is where to find us and certainly if you want to email me directly it’s Rona@viviplan.com. Doug Hoyes: Easy to find and I’ll put all those links in the show notes. Are there any final pieces of advice that we haven’t hit, anything that people should have in their minds before we close? Rona Birenbaum: I think what’s really important and it’s to reiterate what Sandi Martin and Jason Heath have said before is I think what’s really important is that Canadians realize that there is an alternative to getting advice from a products salesperson. This has been our – the financial industry since inception for decades and decades and decades. And I don’t think Canadians understand that there’s an alternative. They’re finally coming to terms with the conflicts of interest that exist in the quote/unquote advisory, financial advisory field, but they are still struggling with figuring out where they can get that unbiased advice. And so it’s, you know, the industry’s changing and there’s more options now than ever but it’s taking too long to get there and consumers, Canadians, deserve to have this now at scale and that’s why Viviplan exists and that’s why it’s going to be the leader in this space. Doug Hoyes: Excellent and well, Canadians don’t understand the fees they’re paying either. Because it’s free, I go to the bank and it’s free, I bought that mutual fund and it’s free. So, there’s certainly an education component here too that you would be better off paying some money and, you know, it’s not free but you’d save a huge amount of money. So I think that’s excellent advice. Rona, thanks very much for being here today. Rona Birenbaum: Thank you for letting me share what we’re doing. Doug Hoyes: Excellent. I very much appreciate it. That’s our show for today. As always show notes with links to everything we discuss today and a full transcript can be found at hoyes.com. I’ll put links to the websites Rona just mentioned so if you want to contact her I’ll give you all that information necessary to track her down. I’ve got lots more great topics coming up so don’t miss an episode. Subscribe to the audio version of Debt Free in 30 on iTunes or wherever you get your podcast and the video version can be found on our Debt Free in 30 channel on YouTube.